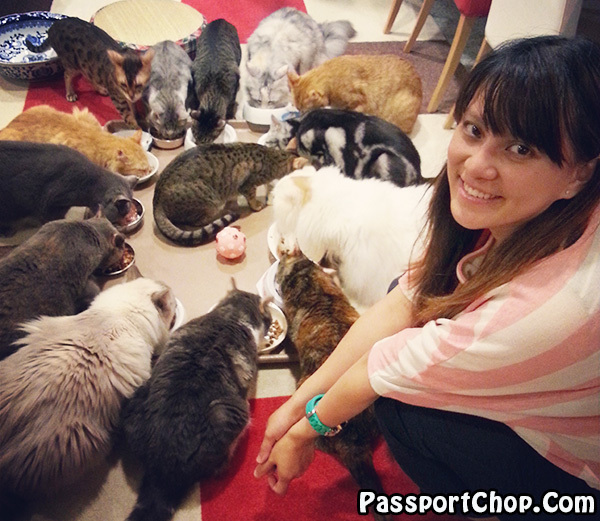 I know the concept of a cat cafe has come to Singapore e.g. 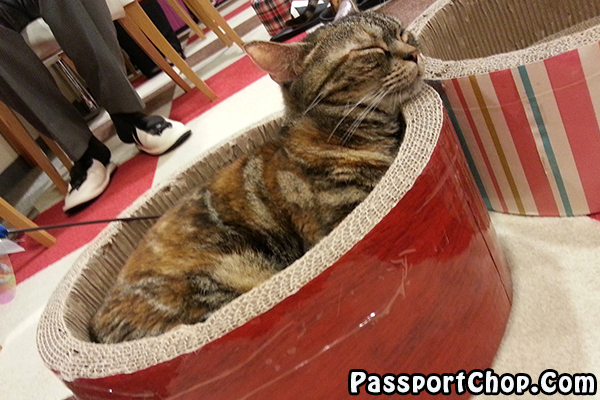 Cat Cafe Neko no Niwa (the very first cat cafe in Singapore located at Boat Quay) and the second cat cafe named TheCatCafe at Bugis. 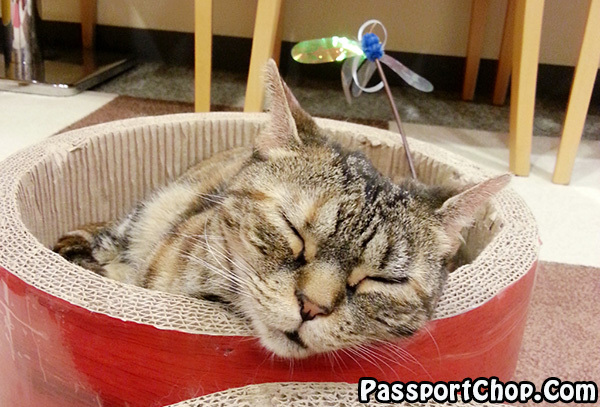 However if you are in Japan and is planning for activities other than that of shopping in Japan, or you just want to run away from your travel mates whom are dying to shop, try getting into one of the cats café. 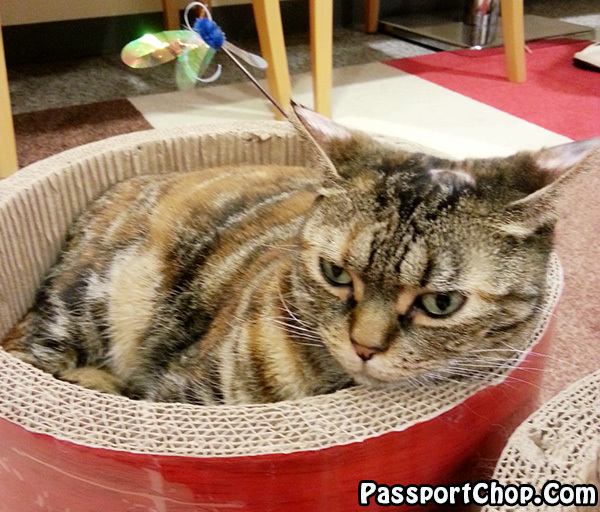 There are many cats café around Japan but I personally find the one at Ueno pretty good. 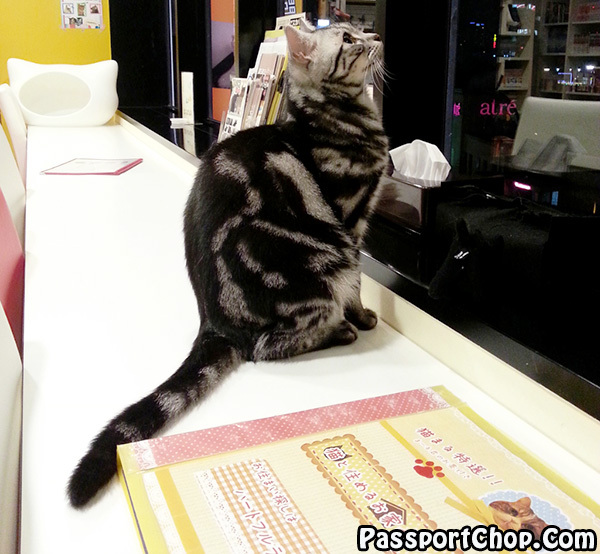 The reason because the cats feeding time is after 8pm while other cafes close nearly at 8pm. A late eating time means the cats will be awake for food and when they are awake they play more and that’s the key point to go cats café! When the cats are sleepy you can be a clown all you want and the cats will simply ignore you. An emotional cat looking out of window after dinner. Customers are welcome to have their meals on the same bench. 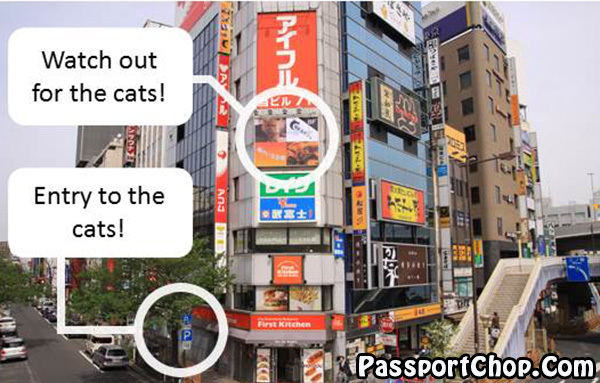 They are not available in English and be prepared to enter a Japanese speaking environment in this tourist-packed Ueno. Here’s the translated information, information accurate to 26th June 2014. If you cant speak Japanese, just use the most useful finger skill and point at the chart. For first timers, I think the 30 min (700 JPY or 800 JPY) is fine. Directions: Ueno Station. Accessible by JR, Tokyo Metro Ginza and Tokyo Metro Hibiya. 1 minute walk from Asakusa exit.